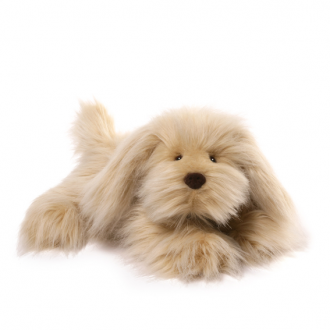 Meet Modowd the dog - a charming addition to GUND's collection of high quality canine characters! At 36cm in length, Mowdowd is in a lazy lying position, ready for a pat or cuddles from his new owner! High-quality and huggable plush material ensures this product remains a favourite friend for years to come. Surface-washable for easy cleaning. Appropriate for ages 1+ years.